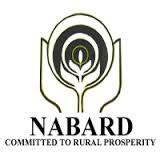 The National Bank for Agriculture and Rural Development (NABARD) has published the Call Letters for Assistant Managers Main (Phase II) Online Exam Call letters 2018. As you know, the organization has conducted Preliminary Online Exam for filling up 92 posts of Assistant Managers in Grade-A (Rural Development Banking Service) on 19th May 2018. The call letter download link will be available at the official website of NABARD from today (1st June 2018) to 16th June 2018.